Your family & friends are sure to be pleased when you choose this lovely & spacious Semi-Oceanfront home for your Outer Banks vacation. Located in Southern Shores, this home has fantastic Ocean Views, is within easy walking distance of the Beach (300 ft. to Beach Access), & the Private Swimming Pool, Hot Tub, & Rec. Room/Den w/Pool Table will provide endless hours of entertainment. Ground Level: Parking for 6 Cars, Covered Entry, Elevator Serving All Level for those w/Special Needs, Rec. Room/Den Combo w/Pool Table, TV, VCR, DVD, Gas Fireplace, Mini-Refrigerator, Desk w/Wireless Internet, & Fax, Laundry Area, 2 Bedrooms (Master Suite w/2 Singles, TV/DVD Combo (No Cable), & Full Bath (Shower Only) & Bedroom w/Queen & TV), Full Bath (Shared w/ Rec. Room), Access to Patio Area, Large Private Swimming Pool, Hot Tub, Picnic Table, Park Grill, & Enclosed Outside Shower. Mid Level: 4 Bedrooms (1 Handicap Friendly Master Suite w/Queen, CATV, & Full Bath w/Roll-In Shower & Wheelchair Vanity, & 3 Master Suites w/Queens, TV's, & Full Baths), Front Covered Deck w/Furniture & Ocean Views, & Covered Deck w/Furniture Overlooking Pool Area. Top Level: Beautifully Furnished Living/Dining/Kitchen Area w/Hardwood Floors, TV, VCR, Stereo w/CD, Gas Fireplace, Open Kitchen w/Wrap-Around Bar, 2 Refrigerators, 2 Dishwashers, Half Bath, Handicap Friendly Master Suite w/King, TV, VCR, DVD, & Full Bath w/Jacuzzi, Roll-In Shower, & Wheelchair Vanity, Covered Deck, & Sun Deck w/Furniture & Great Ocean Views! 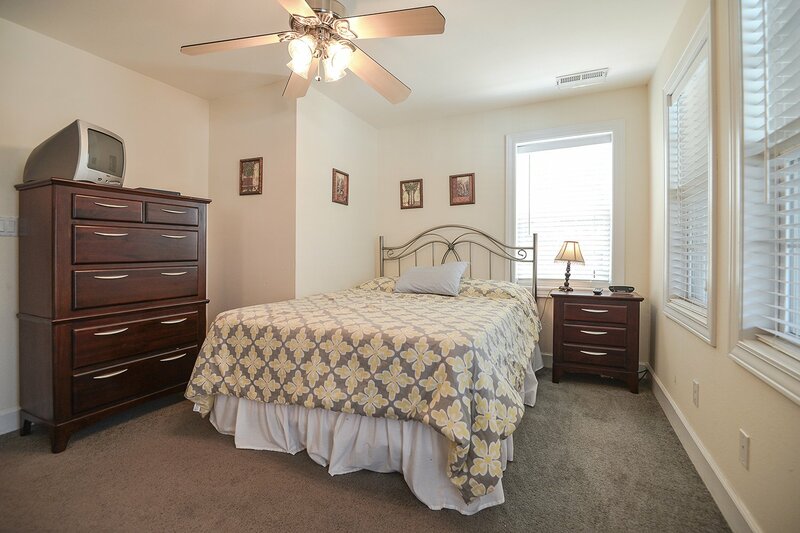 Features include: C/AC & Heat, Washer/Dryer, 2 Dishwashers, 2 Microwaves, 2 Full Size Refrigerators w/Ice Makers, 4 Phones, 9 TV's, 3VCR's, 3 DVD's, DVD/VCR Combo, Stereo, Wireless Internet, 10 Ceiling Fans, Baby Equipment (High Chair & Pac-N-Play), Pool & Deck Furniture. A Member of the Southern Shores Civic Association (SSCA) which provides you w/No Fee Access to 4 Miles of Southern Shores Beaches w/Parking, Boat Launching Area, 3 Soundside Marinas, Soundside Bathing, Beach, & Picnic Area, Sea Oats Park/Play Ground, & Walking/Biking Trails. One Mature Dog Allowed w/Fee. This is a Non-Smoking Unit. Handicap showers were very nice. This was a wonderful Christmas Holiday rental for our family. The house was in good shape and well stocked for our needs. Furniture was comfortable and well maintained. The extra refrigerators and dishwashers were a nice feature. Having two stove tops for cooking large meals was wonderful. We hope to stay at Sea's View again in the future. We had an OUTSTANDING time. All of my family and friends totally enjoyed having thier own bathroom. the hot tub is one of the best. the pool was awesome. everyone slept well on the mattresses. Fantastically appointed and maintained home. Kitchen was well equipped and the furnishing were very nice and relaxing. The pool was clean and ready for us. Overall, loved our stay at your property. Superior home and pool. Location saves driving time up or down the beach and beach itself is uncrowded. Over all very nice. Thank you. We were very pleased with the condition, location, and amenities found at Seas View. The property is exactly as described on the rental website; the property is very well cared for. The property is in close proximity to beach access across the street. Beautiful home; elevator is a great feature. Light bulbs missing in living room but otherwise a wonderfully furnished and equipped house. We enjoyed our stay immensely. A nice vacation home that is exactly as presented by joe lamb on their web site. The photos do not do this beautiful home justice , the sunrise views from the 3rd floor Deck are fantastic and the pool area is a great relaxation center for Reminiscing on family history.